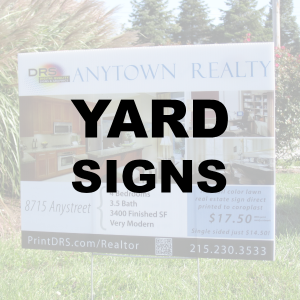 Let DRS produce your yard signs using more colors and with more vivid reproduction of your business image, including photographs. 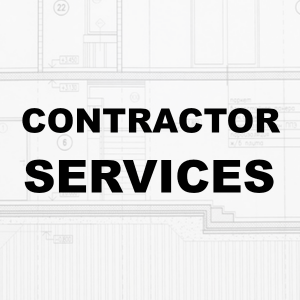 Why settle for one dimensional two color signs when for about the same price you can have a sign that will make your business name really stand out and grab attention. We can put your company image on a variety of durable materials that will last and keep your image looking good through all kinds of weather. 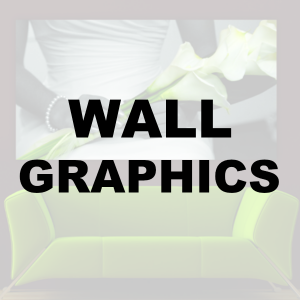 DRS is one of the few companies in the area that can reproduce your images as a wall covering. You can have your corporate logo enlarged and reproduced on a self adhesive wall covering that you can easily adhere to a wall in the reception area. Our state of the art process can meticulously reproduce your images including photographs, onto a self adhesive vinyl wall covering that you can place on any flat wall surface. You can have an image that will last as long as your wall. Plus, it is just as easy to remove, so you could actually change your wall images periodically if you choose. Let your imagination run wild. 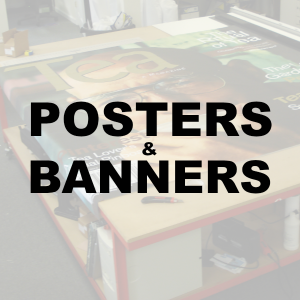 Our ability to reproduce your graphics and images on posters is almost unlimited. Our state of the art process enables DRS to reproduce your images in greater detail using more colors than traditional sign companies have available. If you need a combination of words and photographs on the same poster, our process can do that. If you want an image reproduced on a special material, DRS can do that as well. You need a horizontal or a vertical reproduction of your image in a poster, DRS can do that. Why settle for a one or two color banner when at DRS you can have a banner that really grabs attention. Our state of the art process can reproduce your images more faithfully using more colors so that your message can really pop. Do you ever have a need for a two sided banner? DRS can produce a two sided banner for you at a cost much lower than a traditional banner process can. Plus DRS offers a wider variety of colors for your banners than a traditional process at almost the same cost as a one or two color banner.